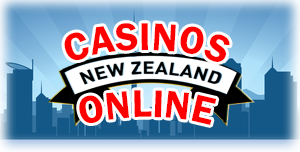 The terms of service for use of NZCasinosOnline.com Our terms are always available on this page of our website and may be modified at our discretion without prior notification. The information that is presented on our website is strictly for academic purposes and research. No attempt to imply advice is given. Readers must understand that online gambling presents real financial risks and losing money is a possibility. Access is provided to those that are over the age of eighteen and that are not problem gamblers. Those readers that are under 18 years of age or feel that they may be problem gamblers must exit our site immediately. NZCasinosOnline.com, its owners and operators are in no way responsible for damages or losses incurred by information or 3rd party links provided on this website. Readers should inform themselves of the policies and terms and conditions of 3rd party websites. The use of our website by you acknowledges acceptance by you of our terms and conditions. Your use of this site may be terminated by us for no reason at any time and especially so if our terms are violated. You may contact us through our given means of contact if you have any questions regarding the conditions set forth by this document. Our site adheres to the governance and the laws set forth by New Zealand and we make no attempt to conflict with the laws set froth by the governing party. If any of the terms in this document are found to be not enforceable, incorrect or not valid, the remaining terms shall continue to be in effect. We make every attempt to adhere to the laws set forth for advertising and providing information to New Zealander readers.